The Women’s Legacy Fund is celebrating its 10 Year Anniversary this year. That’s 10 years of grants to nonprofits providing education, inspiration and empowerment to women and girls. By working together, WLF contributors have funded programs designed to improve literacy, employment skills, neighborhood services, career planning, mentoring and suicide prevention. We also celebrate the recent addition of Impact Dunbar, a fund focused on the women and girls in the Dunbar community. We invite you to celebrate with us. 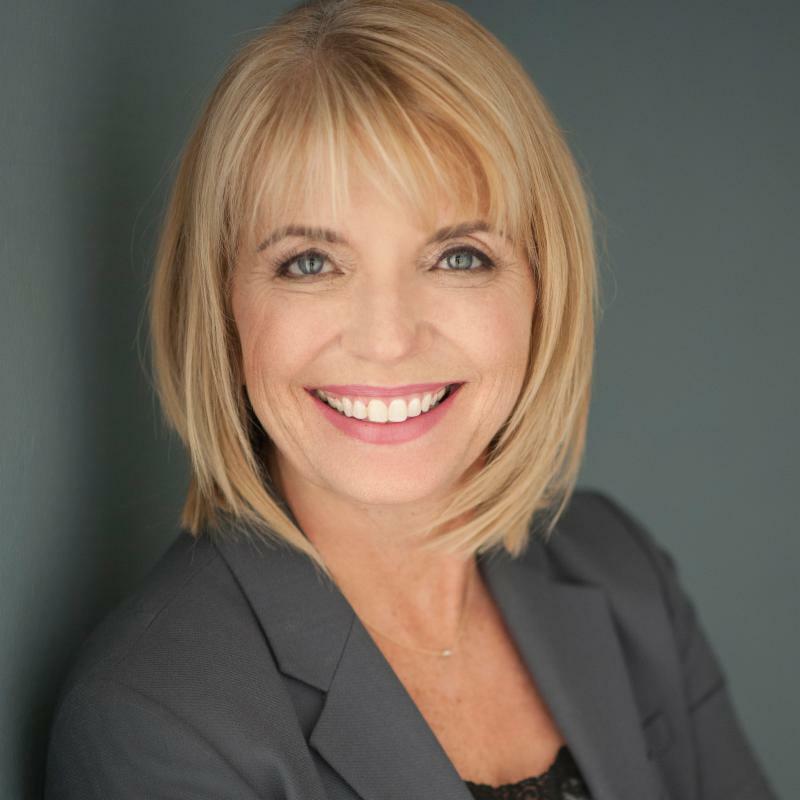 If you’re not yet a contributor, it’s not too late – give today (information is featured below) then join us at our WLF Contributors Luncheon on Friday, April 7th. We will review the latest research and face-to-face conversations with women and girls in the region. All contributors will then have a “voice in the choice” on the cause area we as a group of collective philanthropists will address this year. And of course, we will celebrate 10 great years together. I hope to see you there! Don’t miss the spring WLF Contributors luncheon on Friday, April 7 at 11 a.m. at Gulf Harbour Yacht & Country Club located at 14500 Vista River Drive in Fort Myers. 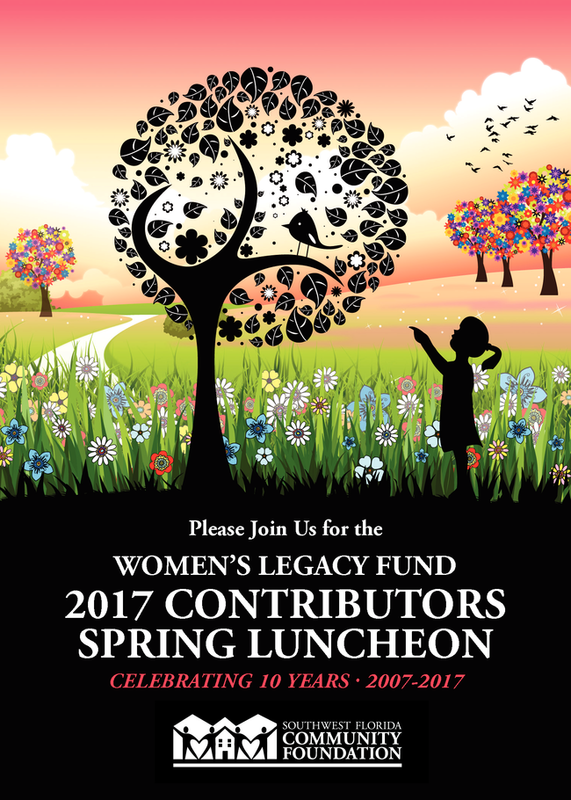 Celebrating its 10th anniversary, the complimentary luncheon is for WLF contributors and Prima Donors. Contributors to WLF contribute a minimum of $250 each year ($100 for women younger than 25). The first half of contributions is pooled for the purpose of immediate annual grants, while the second half is pooled into the WLF’s endowment fund which provides additional grants to be made both now and in years to come. Prima Donors are local women who have contributed $10,000 or more to the WLF endowment and are committed to making an impact in their community through charitable giving. If you are a contributor, luncheon reservations are required by March 28 by calling Sydney Roberts at 239-274-5900 or click here to RSVP. If you’d like to become a Contributor, click here. Please call us with any questions about becoming part of the Women’s Legacy Fund at 239-274-5900. Beginning April 6, “Fresh Aire” will feature an adventure in color through the paintings inspired by artist Judi Ekholm’s road journey through 11 national parks and 21 states. Ekholm focuses on different vantage points, and her technique is similar the Old Masters with many layers of fine paint and glazing. 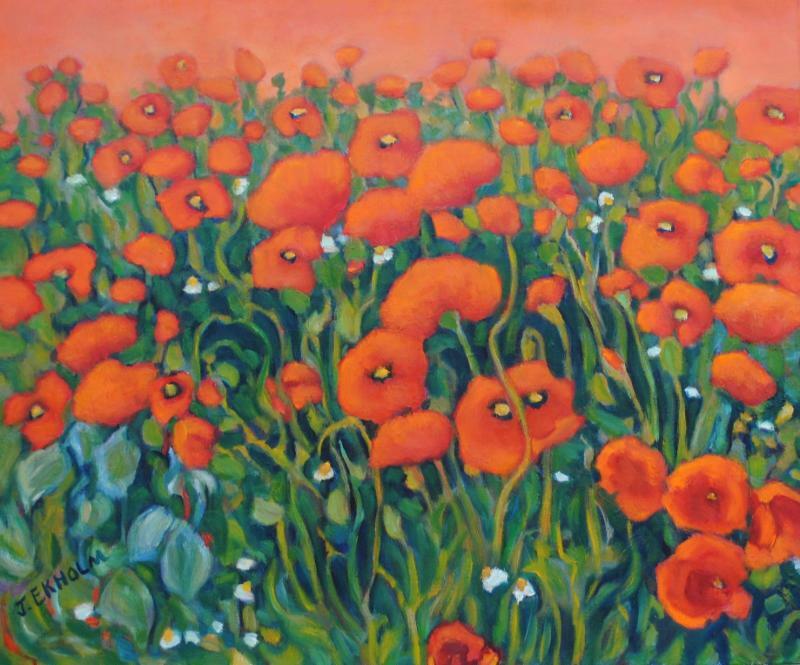 Her images of landscapes and gardens are both romantic and bold. She creates all sizes and scales of paintings, and each one makes its own original and unique statement. Her impressionistic paintings can be found in more than 700 international collections. The exhibit is open to the public and will run through May during regular Community Foundation business hours: Monday through Friday. Some paintings are located in meeting rooms, so those interested in seeing the exhibit are asked to call before arriving to make sure all areas are accessible. The Community Hub at the Foundation is located at 8771 College Parkway, Building 2, Suite 201 in Fort Myers. Please join us for the Fresh Aire Art Reception on Wednesday, April 5, 5 to 7 p.m. at The Community Hub. Click here to RSVP. The 18 local nonprofits granted $551,500 in 2016 from the Southwest Florida Community Foundation’s available Field of Interest funds as well as individual and corporate donations, have reported their annual outcomes. The increase in the amount of collaboration between Foundation-funded nonprofits is 650 percent resulting in 13 collaborative projects between the nonprofit grantees. Examples of these collaborations include Gulf Coast Symphony and the Heights Center’s MusicWorks! program for the after-school children along with Family Initiative and the Alliance for the Arts’ Art for Autism program. Foundation-funded nonprofits saw an increase from 22.5 to 28.9 percent in knowledge and ability in evaluation skills such as data collection, analysis and reporting. 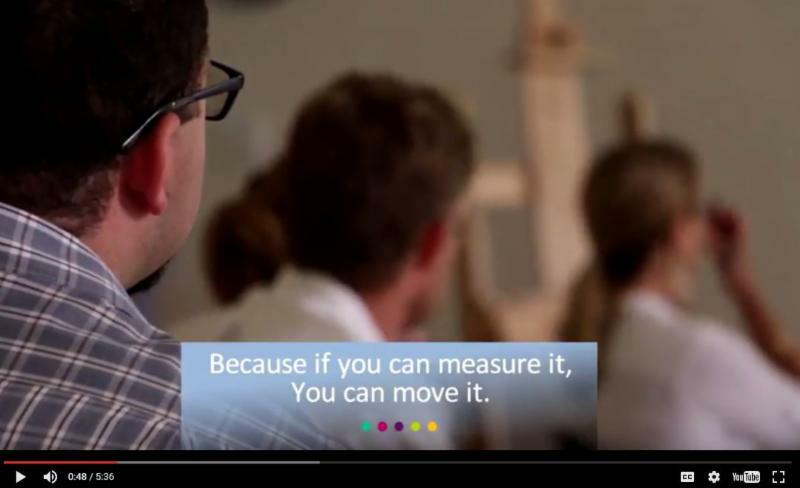 Kresge Foundation grants FutureMakers $50,000 challenge — PASS IT ALONG! The FutureMakers Coalition was recently awarded a $50,000 challenge grant from the Kresge Foundation as part of its College Access & Success Initiative (CASI). A $10,000 grant was also awarded for administration costs and backbone support. Jan. 31, 2018. Anyone interested in learning more about the grant or investing in the FutureMakers Coalition may visit www.futuremakerscoalition.com/partners/fund. The Southwest Florida Community Foundation serves as the anchor organization for the Coalition. The FutureMakers Coalition encourages residents to join and support this community-changing initiative. For more information, visit www.futuremakerscoalition.com, call 239-274-5900 or email Tessa LeSage. The goal of the FutureMakers Coalition is to transform the workforce by increasing the number of Southwest Florida residents with degrees, certificates and other high-quality credentials by the year 2025. The Coalition plans to use the challenge grant funding to continue to advance regional outcomes and efforts that support the Florida Higher Education Coordination Council’s statewide goal of 55 percent higher education attainment. Established by nonprofit organizations, Nonprofit Agency Endowment Funds are long-term funds that allow an agency to plan for the future needs of the organization. Because the funds are endowed, agencies like Florida Rep can take advantage of the Community Foundation’s financial management, administrative resources and expertise on planned giving. The fund provides a simple and effective way for charities to build endowment and therefore sustainability. Agencies can opt to receive annual payout based on the balance of the fund as a source of income for operations and programs or roll over the amount to increase future endowment.